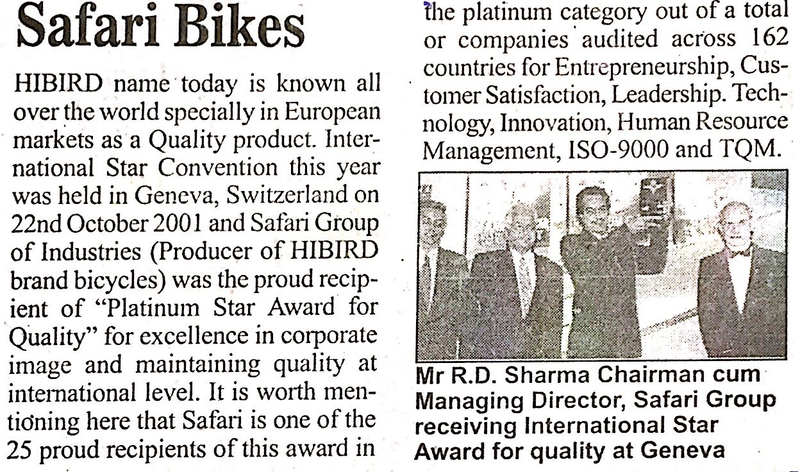 Year 2000 : CMD Being Awarded with International Europe Award for Quality, Paris (France). 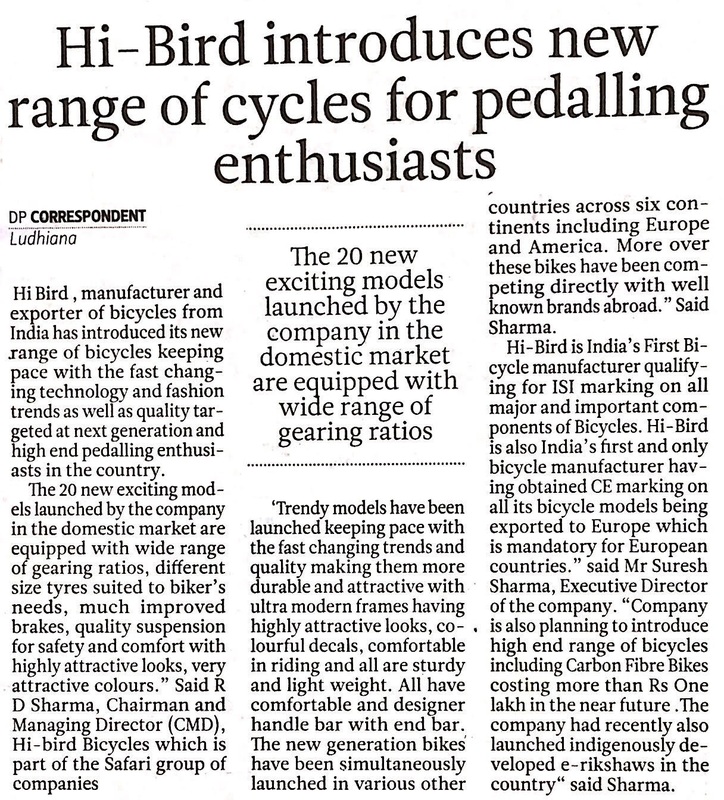 Year 2001 : Company in News for the Launch of most affordable Bicycle. 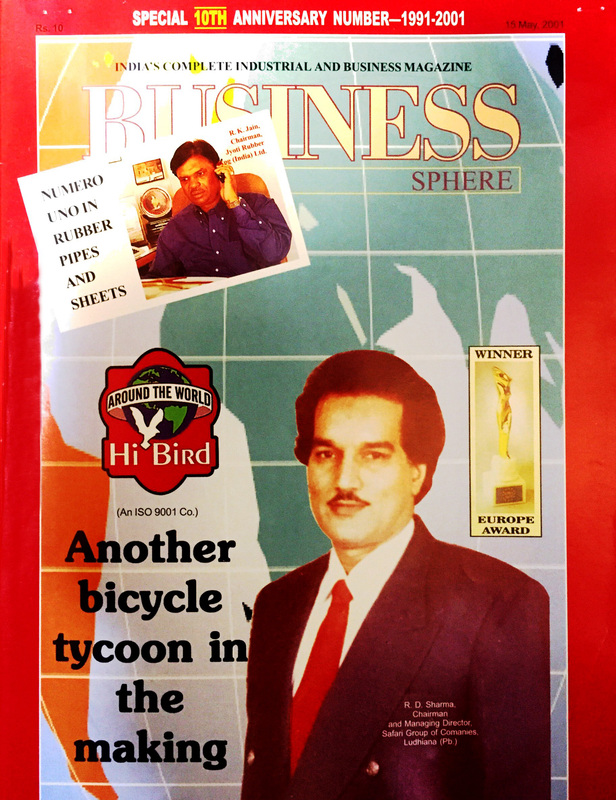 Year 2001 : Company in news For Launching in Indian Market after a gaining a Huge Success in International Market. 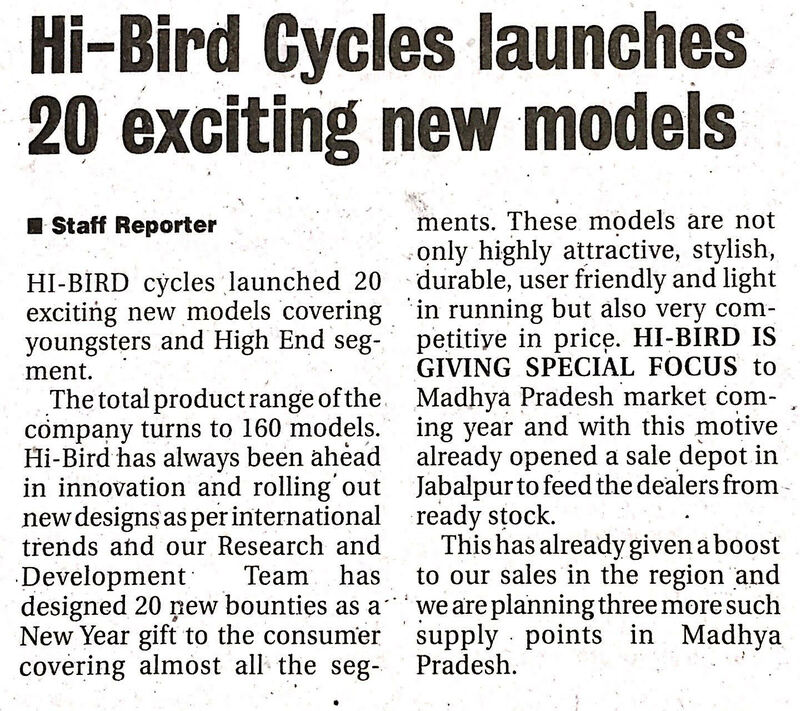 Year 2001 : Brand "HI-BIRD" in Limelight. Year 2001 : Company in Limelight for its Success in India. Year 2001 : Company in News in Chandigarh. Year 2002 : Company in News for Launch of new model with Indicators. Year 2002 : Companies CMD In News. 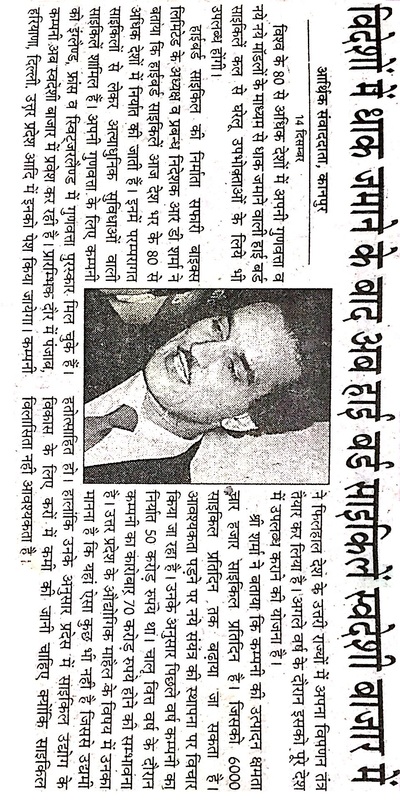 Year 2002 : Company in News In Rajasthan. Year 2013 : Co. In News for The Visit of Team from USA. Year 2005 : Company in News Yet Again. Year 2006 : Company in News for Receiving National Award for Quality from Govt. Of India. Year 2008 : Yet Again Company in LimeLight. Year 2008 : Company in Limelight again. Year 2009 : Company in Limelight yet again. Year 2011 : Company in Limelight for its New Eco-Cabs Rickshaw. Year 2013 : Company yet again in Limelight for its Eco-Cabs. Year 2013 : Company in News for its Launch of Battery Operated Rickshaws. Year 2013 : Company In News Again for its Launch of Battery Operated Rickshaws. Year 2013 : Company in News again for its Launch of Eco-Cabs Rickshaws. Year 2013 : Company again in Limelight for its Launch of Eco-Cabs. 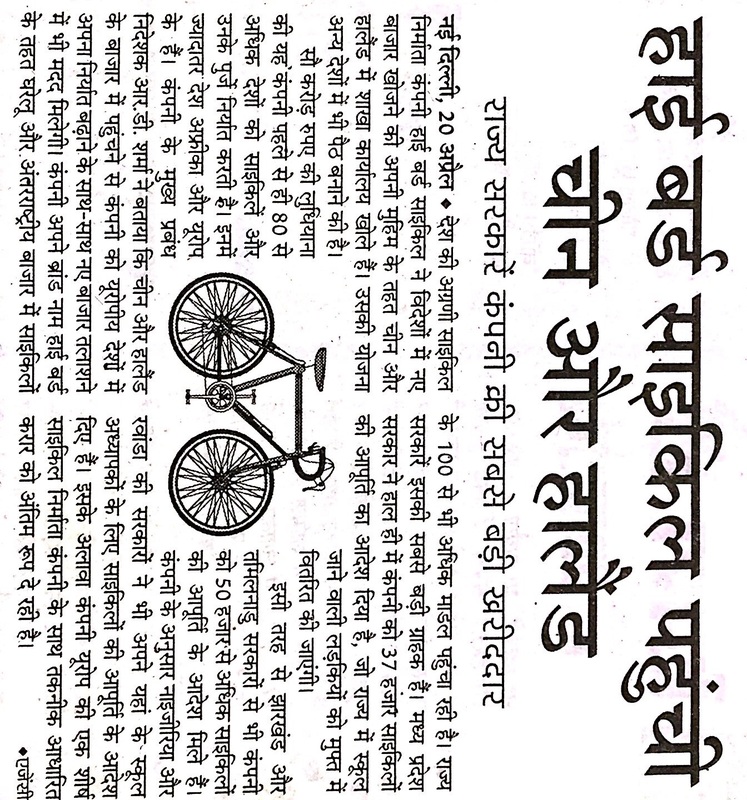 Year 2013 : Company again in News for its Launch of E-Rickshaw. Year 2013 : Company again in Limelight for its Launch of E-Rickshaw.